NGS Soccer programs are open to girls that either live or attend school (private and public) in Newton. We have more 1200 girls and 250 coaches participating in our programs. Newton Girls Soccer provides City, Travel and Academy team programs, supplemented by Skills Development sessions and Vacation Clinics. Players of the appropriate age may choose which program they wish to participate in. Because NGS is a large, largely volunteer-driven organization, we appreciate your effort to direct questions to the appropriate person: Contact & Committees. Click here for an overview of NGS programs and their differences. 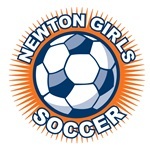 No girl is denied an opportunity to participate in Newton Girls Soccer due to financial need. Requests for fee waivers may be submitted by sending an email to the NGS President, president (at) newtongirlssoccer.org. All requests are confidential. Assistance is also available for uniform purchase, tournament costs, and team fees. In addition, NGS offers scholarships based on financial need to several vacation soccer clinics.